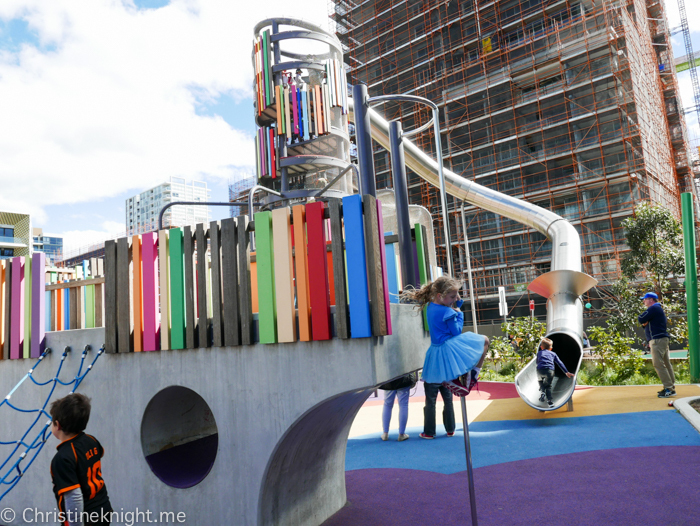 Sydney's Best Playgrounds: Wulaba Park, Green Square, Waterloo - Adventure, baby! 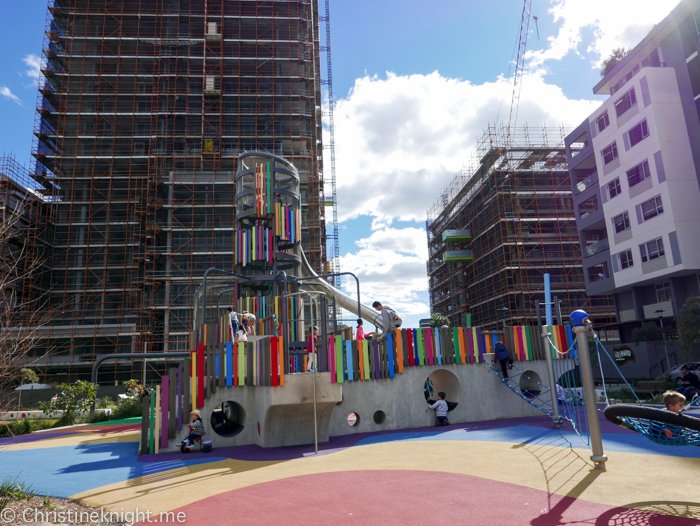 This brand new playground in Waterloo is a joint venture between the City of Sydney and property developer Meriton, as part of their residential development plan for the area. 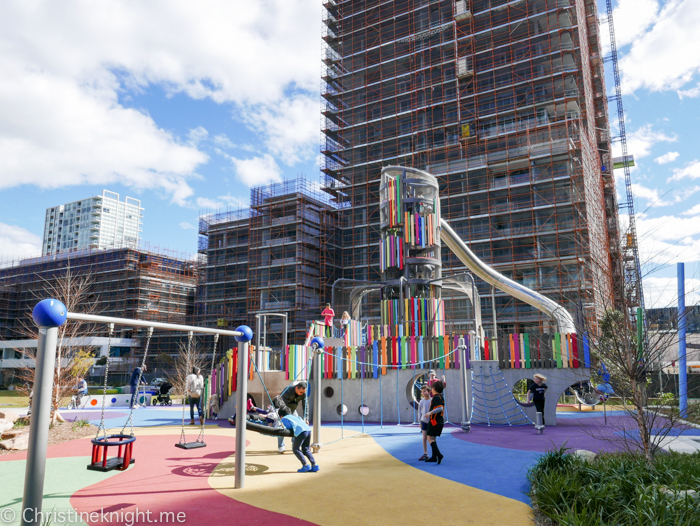 As you can see from these images, Wulaba Park is situated right in the middle of high rise housing developments. 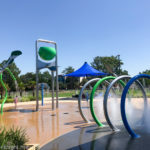 Having lived in this area ourselves previously, it’s wonderful to see more play spaces for kids opening up for the community. 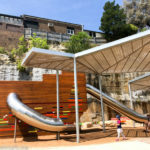 Wulaba Park features an exciting playground designed by a landscape architect in conjunction with Sydney artist Nuha Saad. The result is an elegant design that is quite beautiful to look at with soaring lines and bold colours. 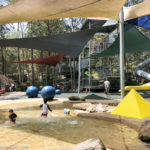 The name of the park, “Wulaba” is an Aboriginal word of the Gadical people meaning rock wallaby. Until the development of the early 20th century, Waterloo was the largest swamp in the area and home to many rock wallabies. 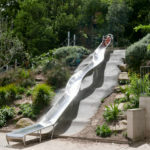 Nowadays, the park is a place for human wallabies to hop around and burn off some energy. 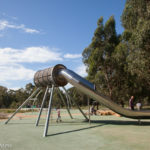 Waluba Park features a giant mega slide, a tall climbing tower, tunnels for kids to run through, nets and ladders to climb and a swing set on a soft-surface floor. 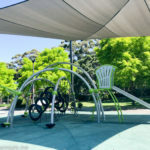 The 4,000sqm of outdoor space also features a landscaped picnic and bbq area, bike tracks and handball and table tennis courts. While we loved the design and Cheese found it incredible inviting, there wasn’t overly much for her to do there and she wanted to leave sooner than we had expected. The park isn’t fenced so parents have to keep an extra close eye on littlies, and there is very little shade. No shade clothes have been built into the park, and the trees are new and small. Parking: Limited but do-able. 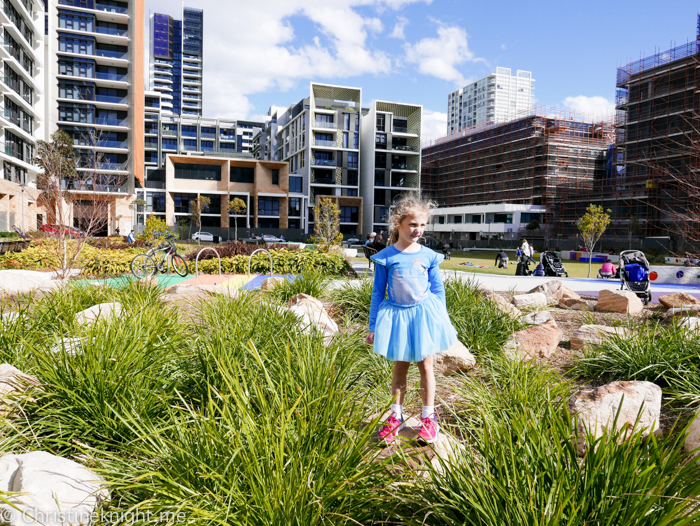 We parked at the Zetland shopping complex and walked over. Public Transport: Bus stop nearby. 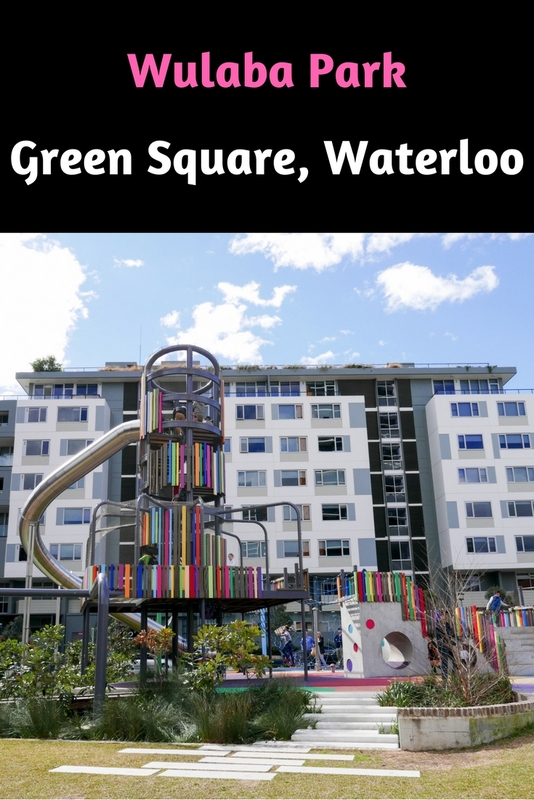 Nearest train station is Green Square.